Playful Learning Activities with LEAVES in Preschool! PLAYFUL LEARNING WITH LEAVES IN PRESCHOOL! Exploring play in nature offers powerful learning opportunities for young children. With just a little creativity, imagination, and a few simple materials, LEAVES can provide hours of learning and FUN for preschoolers! Materials needed: leaves and markers or paint. 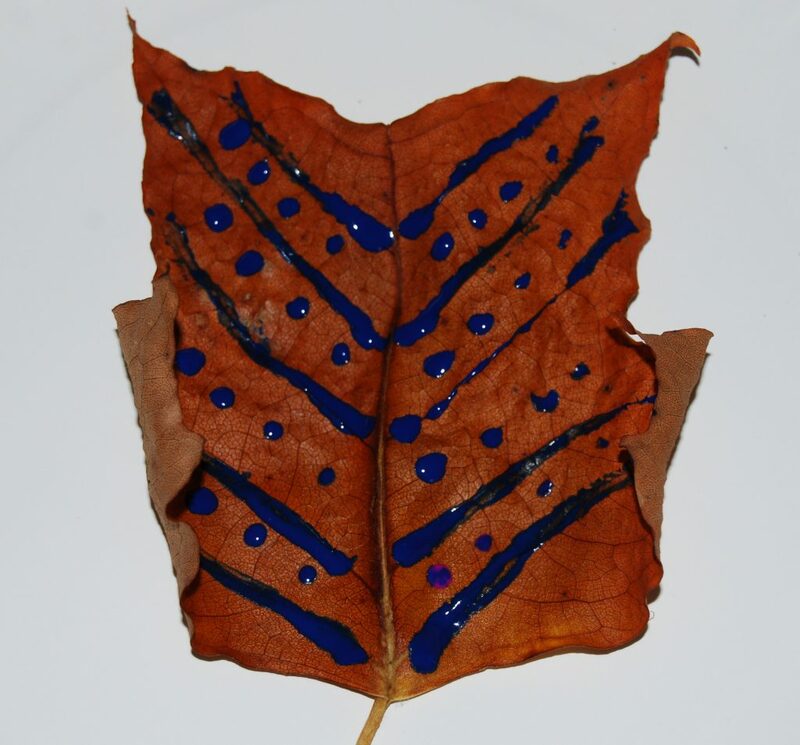 Making designs on leaves is an open-ended art process that encourages creativity in children. 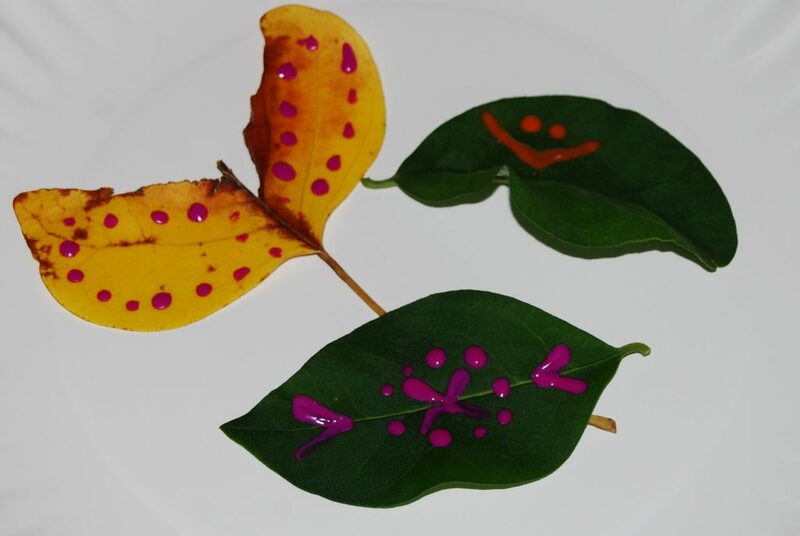 Invite the children to creative play by assembling a variety of leaves and markers and/or paint on a table. It is also fun to vary the painting tools – some suggestions: paper towels, sponges, forks, Q-tips, or cotton balls. The painted leaves can be used as a printing tool. After the children paint the leaves (and before the paint dries), gently press a sheet of white paper on top of the leaf. Lift the paper gently to see the print. Materials needed: Leaves and a variety of collage materials that can be used to create the leaf pal (suggested materials: play dough, Wikki Stix, craft eyes, fabric scraps, paper scraps, pipe cleaners, clay, craft sticks (or real sticks), and poster putty). Leaf creatures are not only fun to play with, but the children will practice important fine motor skills. Invite the children to create any kind of leaf pal desired. 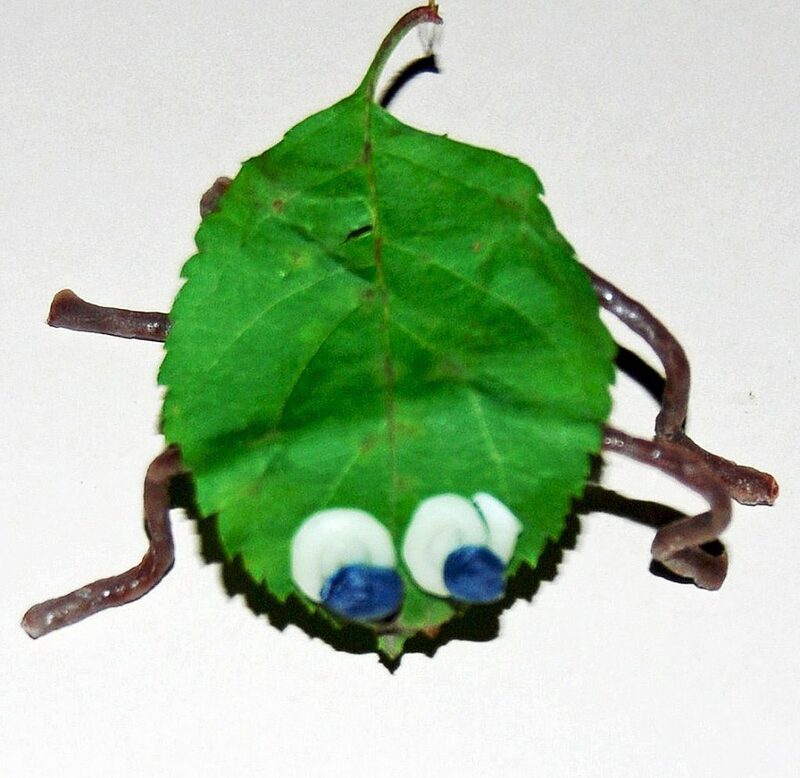 Pipe cleaner legs and craft eyes will attach easily to the leaf with poster putty. Play dough and clay are also fun sensory items to use. The children can decorate the top of the leaf pal with fabric or paper scraps. Have the children make several for hours of pretend play! Materials needed: pipe cleaners, markers/crayons, playdough, or Wikki Stix (to create the tree) and leaves. Encourage the children to collect leaves and put them inside a container or basket. Give the children a plain sheet of paper and invite them to create a tree on the paper with any materials available. Younger children might make just a few marks for the tree, while older children may create more intricate trees. Label the tree with any number the children are working on or have had introduced. 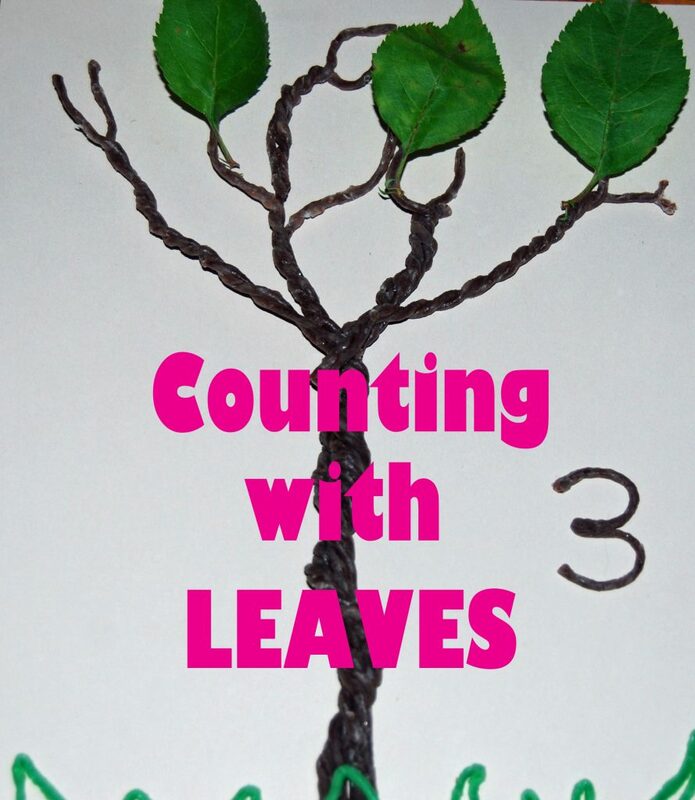 Invite the children to count out the number of leaves from the basket that correspond to the number on the tree. The children can glue the leaves to the tree or place them back into the basket for practice with other numbers. It’s a great way to practice one-to-one correspondence at home or in the classroom! « Frugal and Playful Learning with Sticks in Preschool!